A long time ago in a galaxy far, far away... there was the perfect necklace for the Star Wars fan! 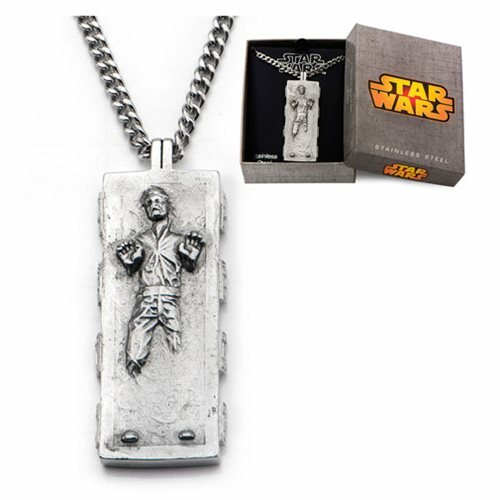 The Star Wars Han Solo Carbonite Stainless Steel Pendant Necklace features Han Solo frozen in carbonite as seen in Star Wars. Start your own galactic adventure today! The pendant hangs from a 22-inch long chain. Ages 13 and up.